Friday 28th Sep – Public Holiday – 8 & 9am Classes only – The WOD will be ‘Murph’ or 2/3 Murph. 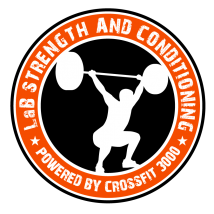 Sat 29th Sep – Normal Class timetable – WOD will be the CrossFit Total! Think about your opening attempt for each of the three lifts, and turn up to the gym with a warmup plan to hit those numbers. You will have about 5-6 warmup sets before first attempt at Back Squat, 2-3 warmup sets for Press, and 3-4 warmup sets for Deadlift. Managing your time is very important in this workout. You have 20 mins for Back Squat, 10 mins for Press, and 15 minutes for Deadlift.